Mechatronics, as an interdisciplinary technique finds increasingly more and more practical application, also in mining industry. In particular, this applies to mining machines that are part of a mechanized longwall complex. In mechatronic category, as whole it can be treated as advanced mechatronic system (model). It consists of a complex of integrated machines and devices, which together constitute a specific mega-machine. It is equipped with advanced industrial automation systems, dozens of sensors that monitor their work and proper data warehouse management software, being interpreter for behaviors and events for each systems. In the paper, proposals for use of the data to analyze the work of selected machines of the complex (heading machines and longitudinal conveyor) were presented. An adaptation was proposed for mining conditions, for acknowledged method of effective estimation of the whole machine (OEE). It captures not only observed today area of critical events (which results in longer shutdowns), but also: unobserved micro-disruptions, fluctuations in the field of utilization (and hence productivity) of particular machines and events resulting in losses in the field of quality. However, the model resulting from cause-effect analyzes accompanying the adaptation of the method must often require correlated effects of several parameters. They identify both the technological phases, as well as give n images of behavior of machines in these phases. In this way, additional range of information dedicated primarily to production and maintenance services is acquired. 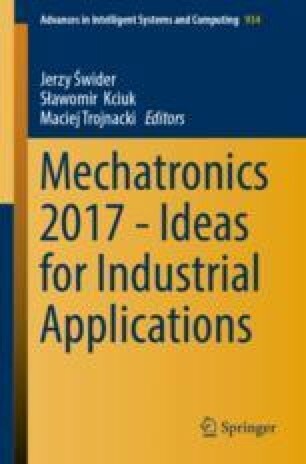 Developed software should be a significant element of “mechatronic model” as longwall complex is recognized for. It should facilitate also its operation. Fundamental aim of the paper is to identify significant, from the point of view of exploitation, operational parameters of the machine, based on recorded data acquired by industrial automation system. This article is the result of the research project No. PBS3/B6/25/2015 “Application of the Overall Equipment Effectiveness method to improve the effectiveness of the mechanized longwall systems work in the coal exploitation process” realized in 2015–2018, financed by NCBiR.